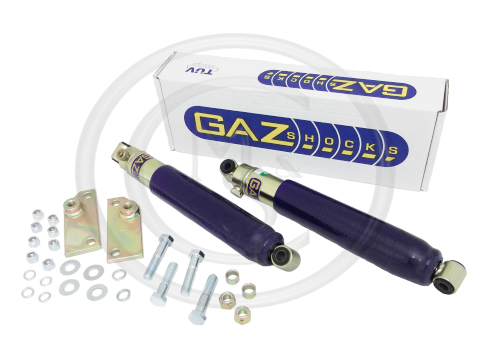 GAZ2 - MGB & MGC rear suspension telescopic damper kit. 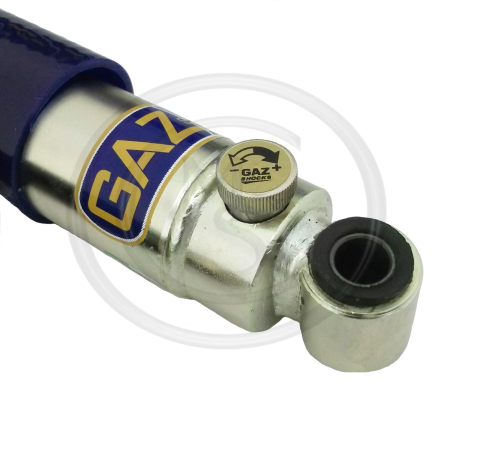 The dampers, manufactured by Gaz and finished in a very attractive high quality zinc passivated finish, are fully adjustable through 32 settings. 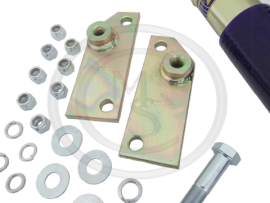 This is easily done in seconds by turning a knob at the bottom of each unit, unlike some other makes which require the use of a screwdriver, or even complete removal of the damper in some instances! Important : Please note, this kit is not suitable for lowered vehicles! 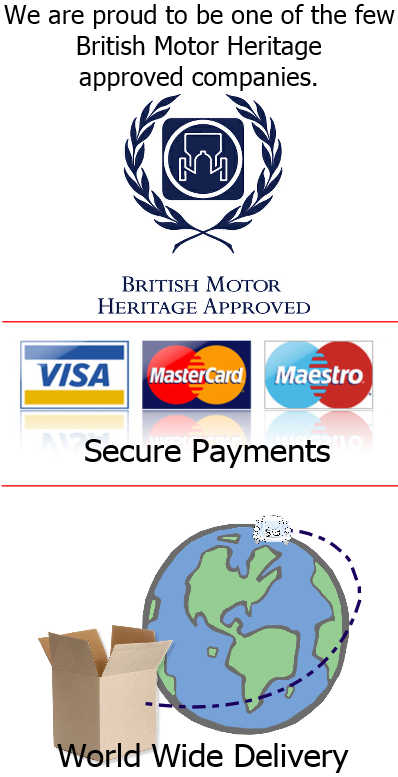 If you have chrome bumper Heritage sheel it will be necessary to modify the shell in order to fit this product.